Available in hardcover, with an absolutely gorgeous dust jacket, this is the novel of which sci-fi buff John A1nut said, "This is one of the most original concepts I have ever read in a novel in my life", and Christian gamer Eric Ashley wrote for RPGnet, "This book is intelligent....thoughtful, upbeat...unpredictable, fun, down-to earth, and truly adult (its heroes are adults) SF," and rated it five out of five for both style and substance. Three ordinary people--a soldier, a housewife, an automechanic--are pulled from their ordinary lives and thrown into marvelous adventures. Between them they encounter a djinni, travel on starships, fight vampires and undead monsters, learn to defend themselves and help others, and discover that there is more to them than the ordinary. Eventually finding each other, they work together in a final adventure that demands they use what they have learned to save the life of a friend. The unique minichapter approach that weaves the threads of three stories together compels the reader to keep reading, but makes it easy to pick it up from wherever you left off when forced to put it down. Dimitrios "Jim" Denaxas' cover art is stunning, but praise also goes to Eric York, whose icon illustrations at the beginning of each chapter have garnered many positive comments. 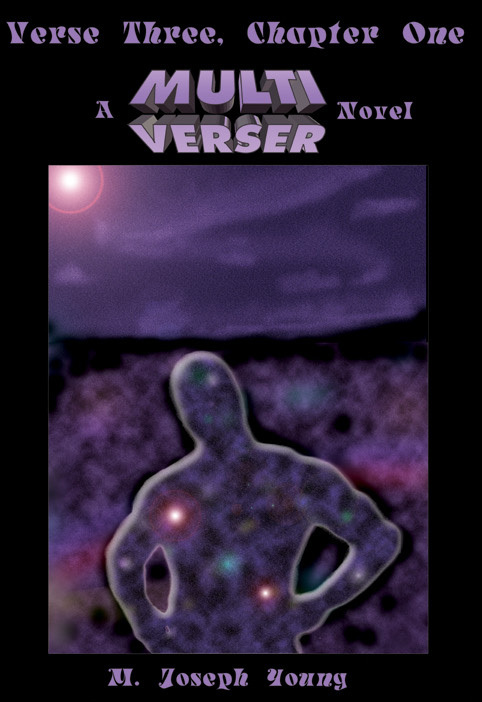 It might also be worth mentioning that the second Multiverser novel is currently in the hands of an independent editor, and the third has been fully drafted, so it is the beginning of a series which hopes to see print in the near future. You can order your copy now for $34.95, by mail (at the address below) or through CCNow (this link will add this product to a shopping cart) or through PayPal (this link will connect you with PayPal to provide credit card payment information).